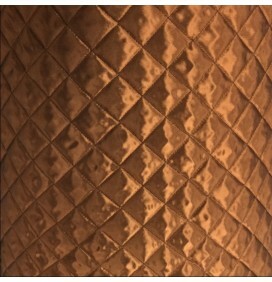 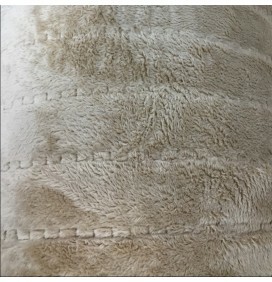 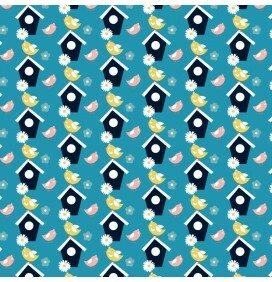 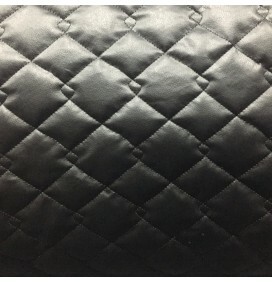 A quilted fabric in a faux leather quilted in a 3/4 inch box design. 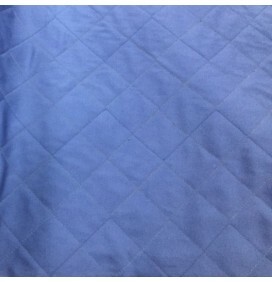 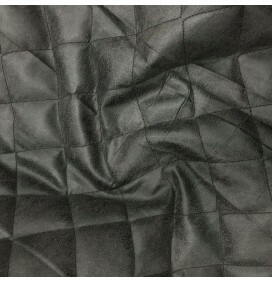 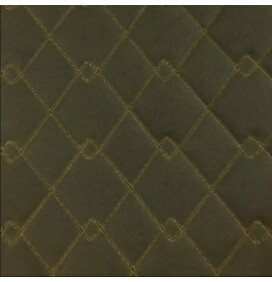 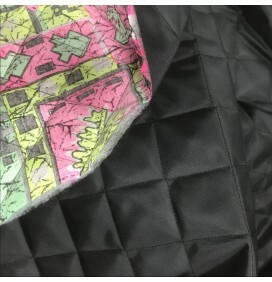 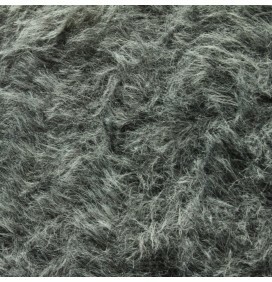 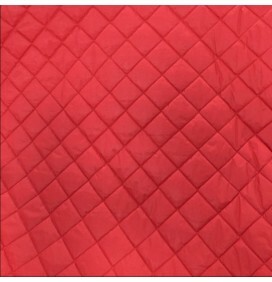 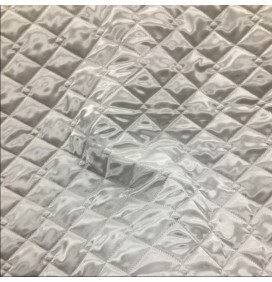 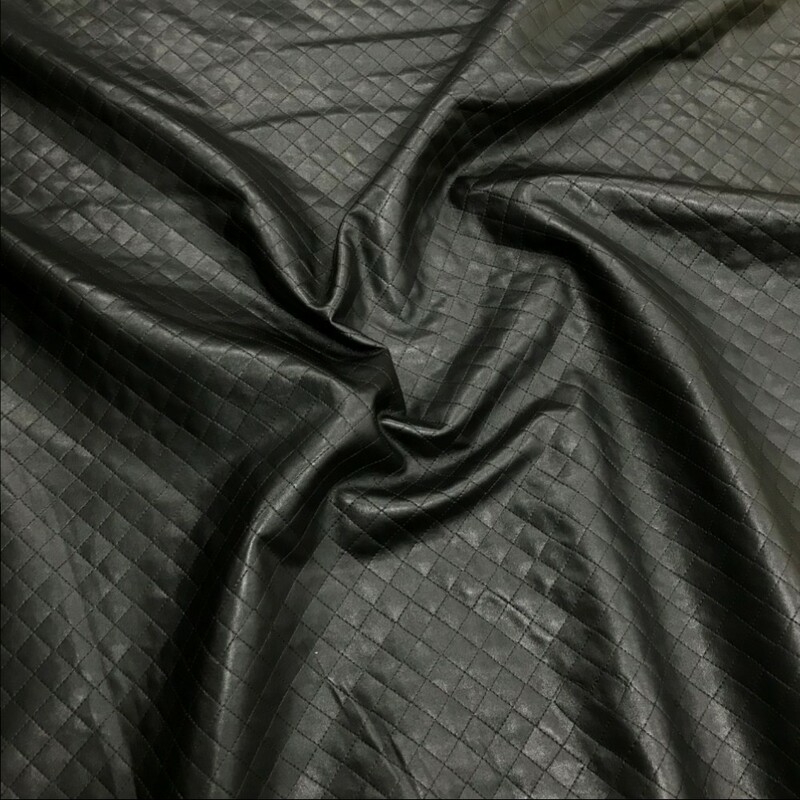 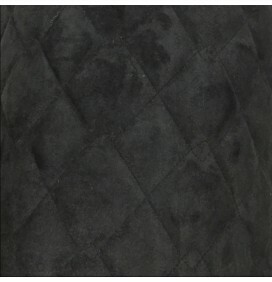 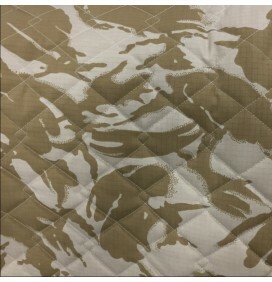 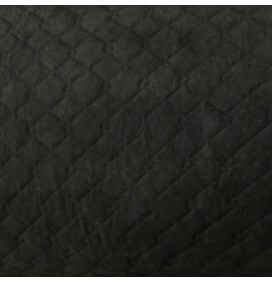 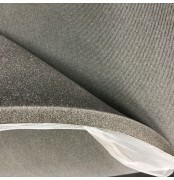 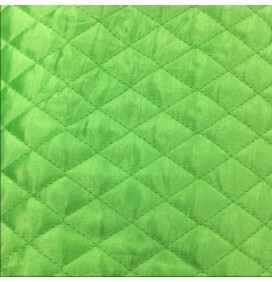 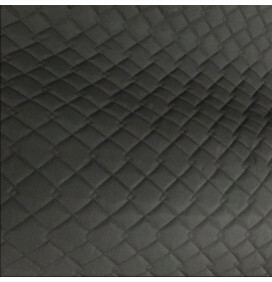 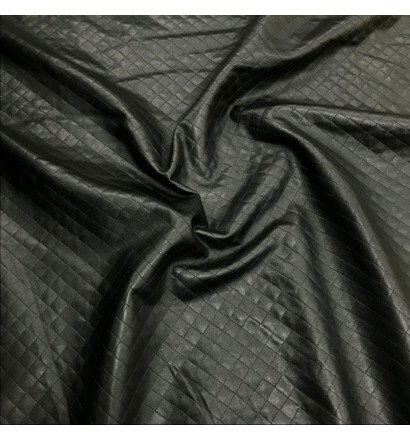 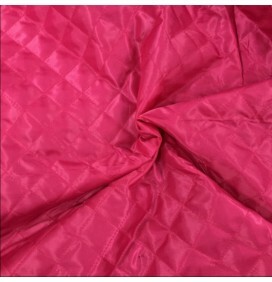 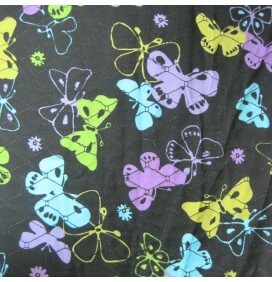 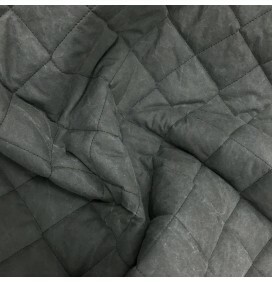 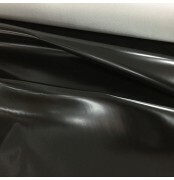 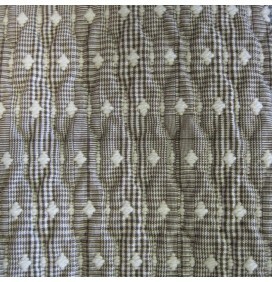 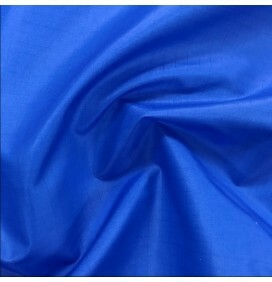 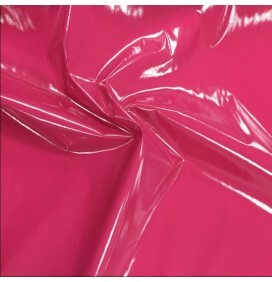 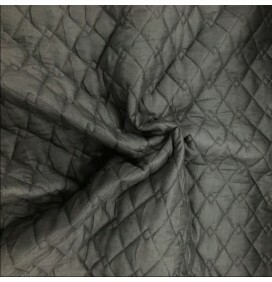 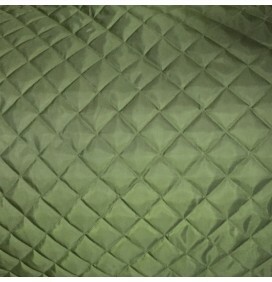 This quilted leatherette fabric has a soft feel fabric with a black leatherette fabric quilted onto a 70g wadding. 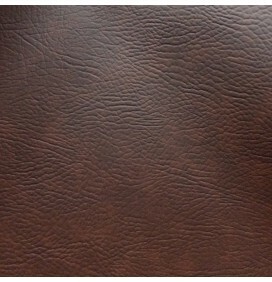 One side has a leatherette material and bare wadding on the reverse.